Lloyd recently retired after more than forty years of proven experience in highly technical and competitive markets, primarily in the healthcare industry. With an emphasis on marketing and sales and thirty-five plus years of management experience, Lloyd’s resume includes new product development and introduction, operations experience, international commerce, regulatory compliance work, and business development. His experience spanned small to large corporations, including start-up ventures and global operations. 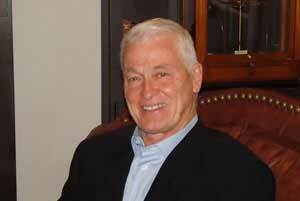 After the military and graduate school, Lloyd began his career with Xerox in 1973. With this strong marketing and sales foundation he moved to the healthcare industry and spend most of the next thirty-five years in medical related enterprises. During that time, he managed a number of early-stage and/or start-up companies. In the 90’s, Lloyd served as Executive Vice President and Group President at STERIS Corporation. STERIS, headquartered in Mentor, Ohio, develops, manufactures and markets infection and contamination products for health care, scientific, research and industrial customers worldwide. During his eight years with STERIS, he rapidly assumed broadened responsibilities and successfully directed the development of the sales and marketing effort, as well as the successful integration of all customer support functions through six acquisitions. Due to the extensive, rapid growth of the company, his responsibilities were varied but included all customer support operations on a global basis. During his tenure he was responsible for STERIS’ accelerated growth plan. The company grew from less than $13 million annual revenue to over $820 million at the time of his departure. Because of its exceptional growth and market presence, STERIS executed an IPO in 1992 that is considered to be the most successful Healthcare IPO of the decade. It was during his employment with STERIS that he met Julie. In his words, “STERIS was a once-in-a-lifetime opportunity, almost a Camelot experience. I took away many positive things when I left, however, by far the best thing I took from STERIS was Julie”. While he has extensive success within his personal employment experience, Lloyd has also served on numerous advisory boards and corporate boards, with an emphasis on establishing new healthcare business enterprises. He received a B.S. in Business Administration and a MBA from Western Carolina University. Lloyd is also a Vietnam Veteran where he served in a combat infantry unit. During his tour of duty, he was awarded the Bronze Star, Bronze Star with Oak Leaf Cluster, Vietnamese Cross of Gallantry, Air Medal and Purple Heart. He has served as an informal financial manager and advisor for the Breedlove Team for several years; but after “flunking retirement” he received his real estate license in the fall of 2015 and officially joined the team.